At what point does someone decide, yes, I’m a writer. That’s my job. That’s who I am. Unless someone’s a journalist or has trained in writing as a career, a person will probably think of their ‘day job’ when a new acquaintance asks, what do you do? Because that’s what they mean, isn’t it? What they’re really asking is, how do you earn the money to justify your existence? Yet that’s not what we do, not really. For the vast majority of writers and authors out there, the ‘day job’ is merely the thing we have to, our daily grind, in order to pay the bills. But, deep down inside, what we really do is write. 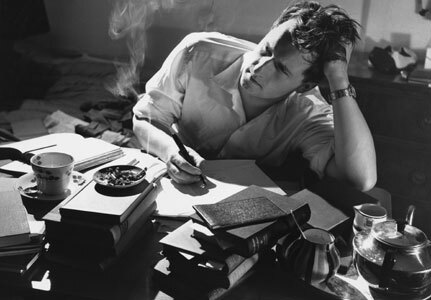 Many writers, when they’re inspired and in full flow, can eat, sleep and breathe their work in progress. In fact, cross out sleep because many of us just lie there at night, playing out scenes in our heads ready to write them up the following day. Thinking about our book, obsessing over it, snatching moments day or night when we can write a little more, that’s what we really do. Hang the day job, that’s not who we are! Is it when you get published? When you first sit down to write something more than an email? Is it when you’ve done a creative writing course? Is it when you give up your job to finish a novel, or start a new one? Is it when you begin getting paid? Or when you are able to live off what you earn from your writing? Besides, how many of us would actually own up to being a writer? Isn’t that a bit conceited? Shouldn’t someone else decide whether or not we’re writers? Are we allowed to declare that status for ourselves? While there are creative writing courses out there in abundance, none of them can offer that assurance. They offer tools, not qualifications. You can’t really ‘qualify’ as a writer. There’s no certificate or embossed scroll to tell you, or anyone else, you can or can’t write. The whole business is way too subjective. Perhaps this is why so many writers eschew the new technology of online self-publishing and strive to win a traditional book deal with a major publisher, despite the odds? Getting accepted is vindication. Someone believes in you. Someone who knows what they’re talking about thinks you’re good. And your book deal proves it. Those lucky few who actually succeed in this can then authentically answer that question: Yes, I’m a writer. But what of the millions who don’t get lucky? Don’t have the ‘in-house’ style, or who choose an unfashionable genre? Those who have eight or nine complete books on their desktop, all unpublished because they couldn’t attract an agent? What kind of people are they? To all those who toil ceaselessly to craft a stylish, beautiful, engaging and gripping novel, such a word is insulting. Just because a writer isn’t published doesn’t mean they’re amateurs. Or hobbyists. Those types exist in abundance, and will happily call themselves authors with no shame. But real writers, those who know the craft, respect it and sacrifice for it, they will hesitate. They hesitate because they know writing is hard. Writing well is even harder. To claim that title means they believe in themselves, knowing full well what they’re talking about. That takes courage and confidence. Belief and delusion look pretty similar from a subjective viewpoint, and who hasn’t been deluded about their work at some point or another? Knowing the difference – if your novel is good or if you just think it is – is the mark of a writer. When someone reaches the point when they don’t just think it’s good, they know it is, that’s when they can truly call themselves a writer. It’s not about being published. It’s not about earning money. It’s not about what other people think when you tell them what – no, who – you are. You’re a writer. Because you can write.